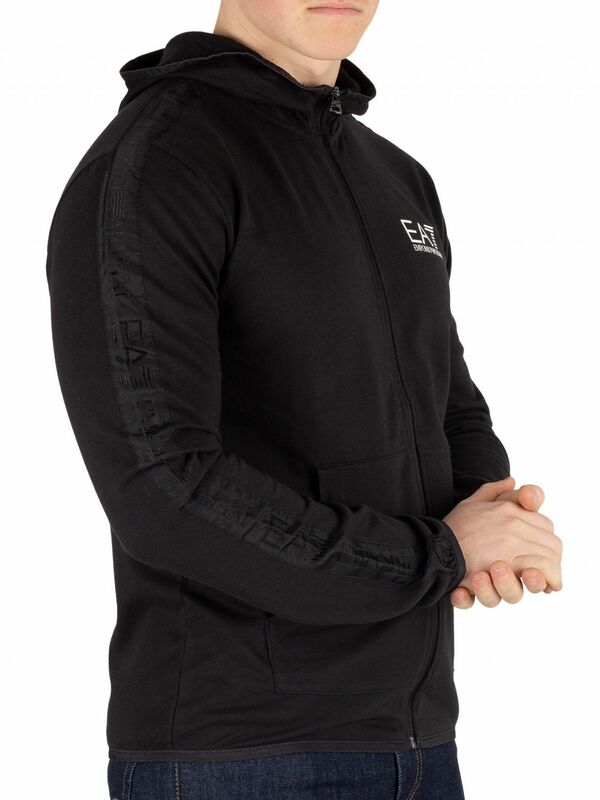 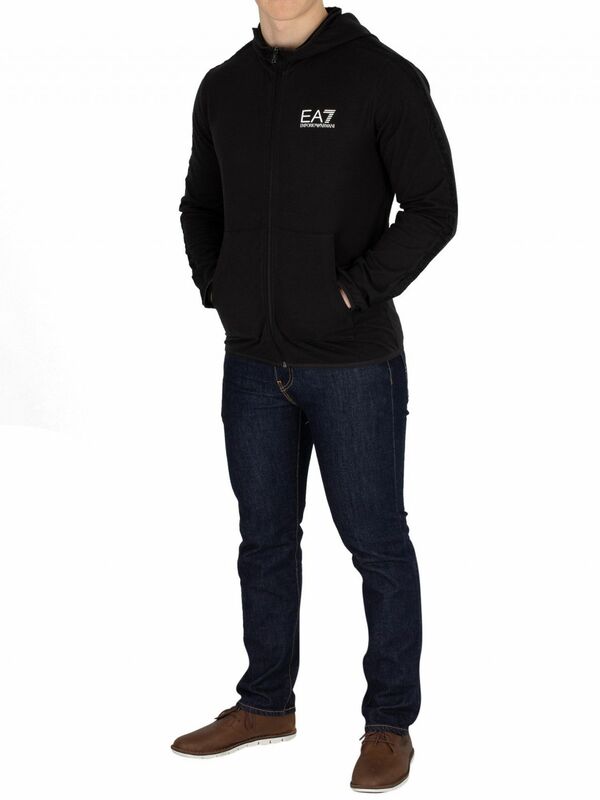 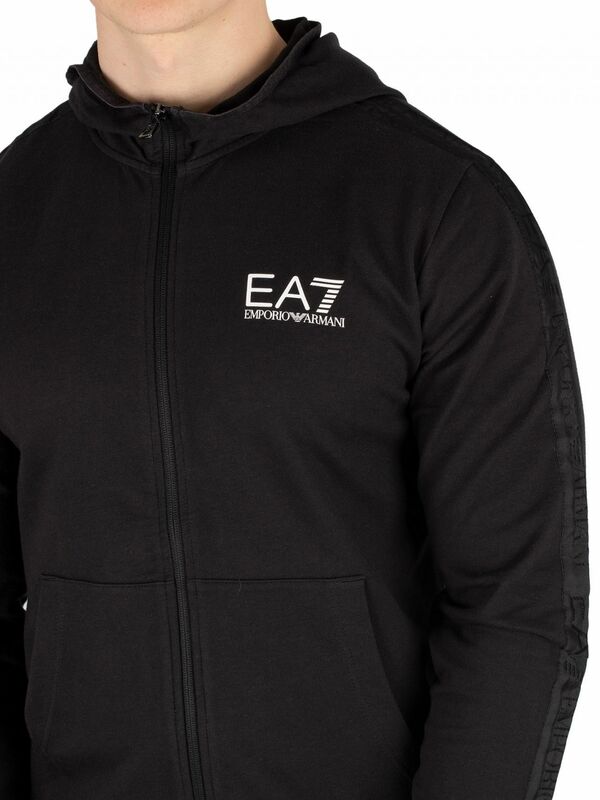 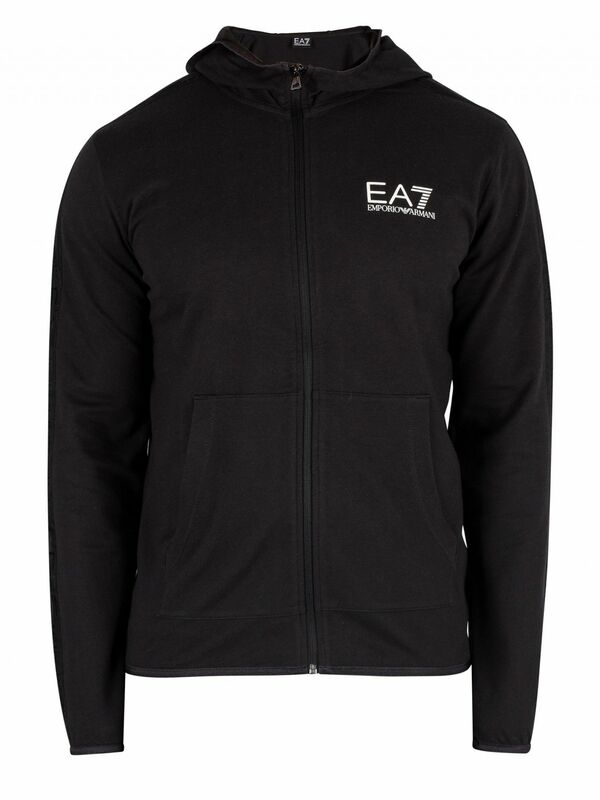 The Logo Zip Hoodie from EA7 comes in Black colour, featuring a peak on hood and zip closure with branded zip. 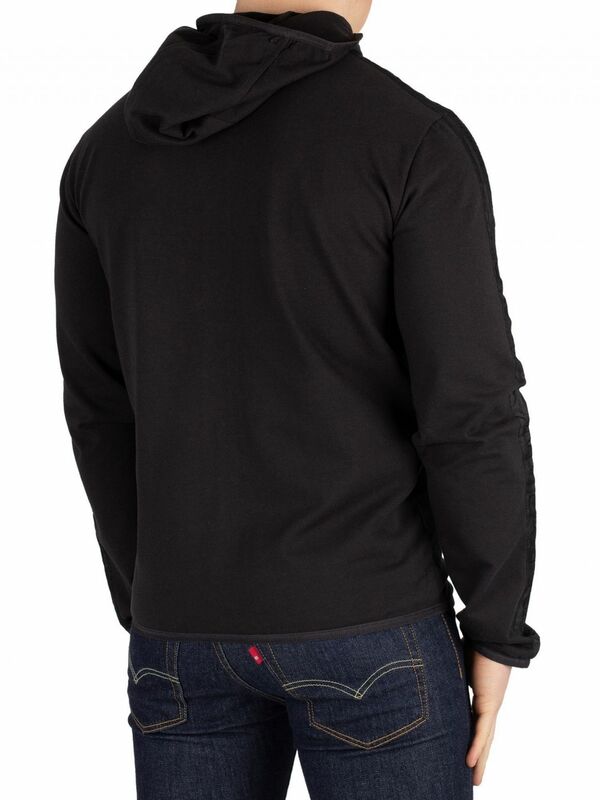 This hoodie for men also features open pockets and elasticated cuffs and hem. 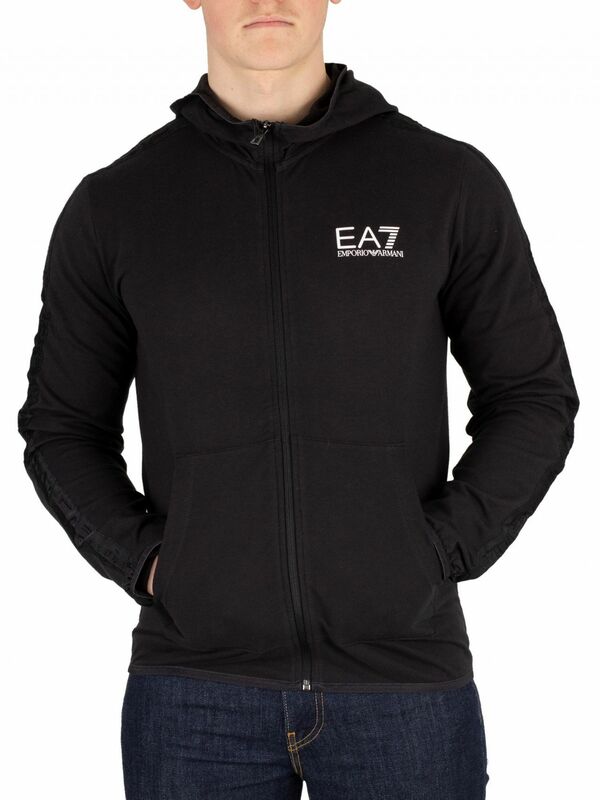 This hoodie for men sports a printed branding on chest and branded taping down sleeves.